The Department of Pharmacy at BITS-Pilani, Hyderabad campus hails its core strength from well-qualified faculty, some of the brightest minds of the country and good laboratory facilities. 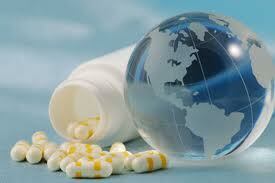 Students are trained in all diverse fields of pharmacy orienting their applicability to industrial and research needs. We aim to become the top pharmacy school in the country with a vision to train and nurture manpower towards fundamental research in pharmacy leading to technology innovation and entrepreneurship. Along with ongoing collaborations with renowned international and national universities, the department aims at carrying out collaborative research in thrust areas as well as promotes exchange of faculty and students for mutual benefit. The Department of Pharmacy at BITS-Pilani, Hyderabad campus has been excelling with regard to the research and consultancy since the inception of this campus (2008). To its credit the department has been publishing research papers in well-renowned international and national journals and has been successful in attracting voluminous funding from various government agencies like UGC, CSIR, DST, DBT, OSDD, etc. The faculty in this department has collaborations with various Indian and Foreign Universities like, IISc, Bangalore; NIMHANS, Bangalore; NII, New Delhi; ISER, Pune; IICT, Hyderabad; IIT, Kanpur; NIH, USA; NCI, USA; Karolinska Institute, Sweden etc. Some of the recent publications are as follows. K. Srinivas, S.R. Patpi, D. Addla, S.R Putapatri, B. Sridhar, P. Yogeeswari, D. Sriram. Facile Diversity-Oriented Synthesis and Antitubercular Evaluation of Novel Aryl and Heteroaryl Tethered Pyridines and Dihydro-6H-quinolin-5-ones derived via Variants of the Bohlmann-Rahtz Reaction. ACS Comb Sci. 13, 427-435, 2011. G.Mugunthan, K. Ramakrishna, D. Sriram, P. Yogeeswari, R.K.P. Kartha. Synthesis and screening of (E)-1-(Î²-d-galactopyranosyl)-4-(aryl)but-3-ene-2-one against Mycobacterium tuberculosis. Bioorg. Med. Chem. Lett. 21, 3947-3950, 2011. Banerjee D, Yogeeswari P, Bhat P, Thomas A, Srividya M, Sriram D. Novel isatinyl thiosemicarbazones derivatives as potential molecule to combat HIV-TB co-infection. Eur J Med Chem. 2010 46, 106-121. S. M. Rajesh, S. Perumal, J. C. MenÃ©ndez, P. Yogeeswari and D.Sriram. Antimycobacterial activity of spirooxindolo-pyrrolidine, pyrrolizine and pyrrolothiazole hybrids obtained by a three-component regio- and stereoselective 1,3-dipolar cycloaddition. Med. Chem. Commun., 2, 626-630, 2011. S. Kantevari, T. Yempala, P. Yogeeswari, D. Sriram, B. Sridhar. Synthesis and antitubercular evaluation of amidoalkyl dibenzofuranols and 1H-benzo[2,3]benzofuro[4,5-e][1,3]oxazin-3(2H)-ones. Bioorg. Med. Chem. Lett. 21, 4316-4319, 2011. Kantevari S, Patpi SR, Sridhar B, Yogeeswari P, Sriram D. Synthesis and antitubercular evaluation of novel substituted aryl and thiophenyl tethered dihydro-6H-quinolin-5-ones, Bioorg Med Chem Lett. 2011 21: 1214-7. Yogeeswari P, Menon N, Semwal A, Arjun M, Sriram D., Discovery of molecules for the treatment of neuropathic pain: Synthesis, antiallodynic and antihyperalgesic activities of 5-(4-nitrophenyl)furoic-2-acid hydrazones. Eur J Med Chem. 46, 2964-70, 2011. China Raju B, Nageswara Rao R, Suman P, Yogeeswari P, Sriram D, Shaik TB, Kalivendi SV. Synthesis, structure-activity relationship of novel substituted 4H-chromen-1,2,3,4-tetrahydropyrimidine-5-carboxylates as potential anti-mycobacterial and anticancer agents. Bioorg Med Chem Lett. 2011 May 15;21(10):2855-9. Rajesh SM, Kumar RS, Libertsen LA, Perumal S, Yogeeswari P, Sriram D. A green expedient synthesis of pyridopyrimidine-2-thiones and their antitubercular activity. Bioorg Med Chem Lett. 2011 May 15;21(10):3012-6. Manjashetty TH, Yogeeswari P, Sriram D., Microwave assisted one-pot synthesis of highly potent novel isoniazid analogues. Bioorg Med Chem Lett. 2011 Apr 1;21(7):2125-8. R. Ranjith Kumar, S. Perumal, JC, MenÃ©ndez, P. Yogeeswari, D. Sriram. Antimycobacterial activity of novel 1,2,4-oxadiazole-pyranopyridine/chromene hybrids generated by chemoselective 1,3-dipolar cycloadditions of nitrile oxides. Bioorg Med Chem. 19, 3444-50, 2011. V.P. Raja, S. Perumal, P. Yogeeswari, D. Sriram. Synthesis and antimycobacterial activity of highly functionalized tetrahydro-4(1H)-pyridinones. Bioorg Med Chem. Lett. 21, 3881-3884, 2011. M. Muthukrishnan, M. Mujahid, P. Yogeeswari, D. Sriram. Syntheses and biological evaluation of new triazole-spirochromone conjugates as inhibitors of Mycobacterium tuberculosis. Tetrahedron Letters 52, 2387-2389, 2011. Venkata Vamsi K. Venuganti, Michael Hildreth, Xiangming Guan, Omathanu P. Perumal. Structure-skin permeability relationship of dendrimers. Pharm. Res. DOI: 10.1007/s11095-011-0455-0 (accepted). Alvala Ravi, A. Mallika, Venkatesh Sama, A. Sajeli Begum, Rukaiyya S. Khan, B. Madhava Reddy, Antiproliferative activity and standardization of Tecomella undulata bark extract on K562 cells, Journal of Ethnopharmacology, 2011 (In-Press). Deepali Pandey, Dinesh Kumar Sharma, Rajesh K. Sharma, A. Sajeli Begum, S. Hemalatha. Pharmacognostical studies and isolation of ergosterol from Mellothria medaraspatna, Asian Journal of Natural Products, 2011 (accepted). -2010. Sriram D, Yogeeswari P, Senthilkumar P, Sangaraju D, 5-Nitrothiazolylthiosemicarbazones: synthesis and antimycobacterial evaluation against tubercular and non-tubercular mycobacterial species, J Enzyme Inhibition Med Chem. 2010 Feb;25(1):105-10. Sriram D, Yogeeswari P, Senthilkumar P, Sangaraju D, Nelli R, Banerjee D, Bhat P, Manjashetty TH., Synthesis and Antimycobacterial Evaluation of Novel Phthalazin-4-y. An undergraduate course integrated with basic engineering sciences gives a broad-based curriculum. Admission to this 4-year program is through the prestigious BITSAT entrance test which is recognized as one of the competitive examinations in the country. As a result some of the brightest students join the department. Post graduate programs in Pharmacy are offered in three categories namely, General Pharmacy, Pharmaceutical Chemistry and Pharmaceutics. -Ph.D. - Doctor of Philosophy in Pharmacy is offered in varied thrust areas that include drug design, Organic drug synthesis, medicinal chemistry, pharmacology, Molecular pharmacology, Drug delivery systems, Novel drug delivery systems, Nano pharmaceuticals, Natural product based drug development, drug metabolism etc. The input for this program is vast covering interdisciplinary students with Pharmacy, Biology, Biotechnology and Organic Chemistry background. Many students in Ph.D. program are sponsored through funded projects from government and some students have been selected based on DST-INSPIRE program (Toppers in PG programs), UGC-CSIR-JRFs, etc. Projects and electives offered by the department include study oriented, lab-oriented and computer projects spanning across the sixth to eighth semesters which play a pivotal role in refining the strong theoretical background earned during earlier semesters. On an average 3 out of 5 contact hours are devoted to laboratory courses. The rigors of labs and projects develop a student to deliver quality work within strict time constraint. The department firmly believes in maintaining a healthy balance between curricular and extra co-curricular activities. Thus the department not only encourages our students to strive excellence in Pharmacy but also support and motivate them for their overall development and a well-rounded personality. Recipient of "YOUNG PHARMACY TEACHER OF THE YEAR 2007" awarded by the Association of Pharmacy Teachers of India. Commosioning Editor of a new international journal, "International Journal of Drug Design & Discovery" published by Pharma Book Syndicate, India. Editorial Advisory Board Member of an international journal, "Recent Patents on CNS Drug Discovery" published by Bentham Science Publishers (USA & The Netherlands). Editorial Board Member of an international journal "International Journal of Biomedical Sciences" published by Master publishing group, USA. Best Paper in Podium presentation was awarded in the 11th APTI national Convention held in September 1-3, 2006 at Bangalore for the paper entitled "Synthesis of 4-(1,3-dioxo-1,3-dihydro-2H-isoindol-2-yl)-N-(substituted phenyl)butanamides possessing antiallodynic and antihyperalgesic activities in two rat models of neuropathic pain". Recipient of "Young Scientist" by Department of Science & Technology, Government of India under Fast track Funding scheme. Biographical profile included in the prestigious registry of the 7th edition of “Marquis Who’s Who in Science and Engineering”, 2003-2004 USA and regularly updated. Biographical profile included in the prestigious registry of the 1th edition of “Marquis Who’s Who in Asia”, 2006-2007 USA. Life Member of Association of Pharmacy Teachers of India. Life Member, Indian Pharmacological Society. Member, International Brain research Organization. Recipient of “Sevaratna” Dr. R.Venkatesalu Gold Medal for securing First rank in B.Pharm of The Tamilnadu Dr. M.G.R. Medical University. Recipient of Tamilnadu Pharmacy Scientific Trust, Chennai Gold Medal for Topper in B.Pharmacy in the Tamilnadu State. Recipient of First Prize award in Tamilnadu State for B.Pharmacy awarded by The Tamilnadu Pharmacy Council, Chennai. 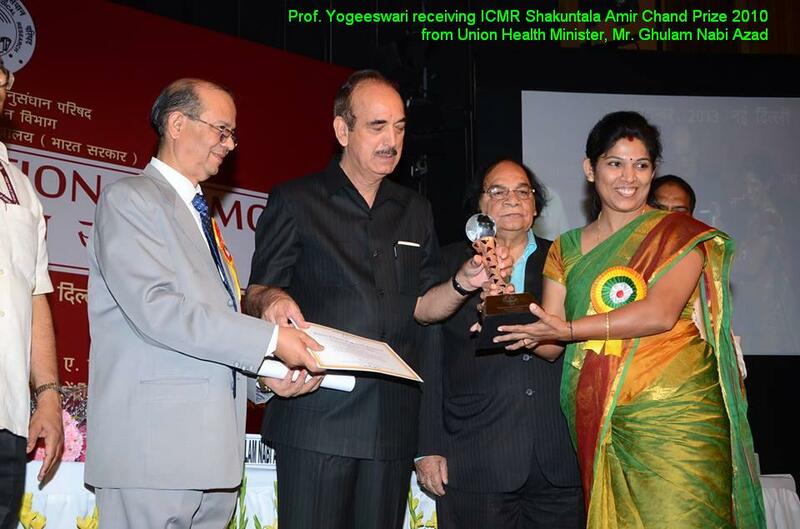 Recipient of "YOUNG PHARMACY TEACHER OF THE YEAR 2006" awarded by the Association of Pharmacy Teachers of India. Chief Editor for the new journal International Journal of Drug Design and Discovery. Editorial Advisory Board Member of the journal, "Recent Patents on Anti-infective Drug Discovery" published by Bentham Science Publishers (USA & The Netherlands). Biographical profile included in the prestigious registry of the 6th edition of “Marquis Who’s Who in Science and Engineering”, 2002-2003 and regularly updated. Member, Canadian Society of Pharmaceutical Sciences. Life member, Association of Microbiologist of India. Graduate Student Travel Award sponsored by Physical Pharmacy and Biopharmaceutics (PBB) section, AAPS for National Biotechnology Conference, Seattle, WA, Jun’ 2009. First place in Sigma Xi Graduate student research award presented by Sigma Xi Research honor society, South Dakota State University, Brookings, SD, April’ 2009. Best Poster Award for Eighteenth Annual Pharmacy Research Presentations, sponsored by Rho Chi research honor society for pharmacy. Oct’ 21st, 2008, South Dakota State University. Genentech sponsored AAPS Travelship award. National Biotechnology Conference, AAPS, Toronto, ON, Canada, Jun’ 2008. Graduate Student Travel award from University College of Pharmaceutical Sciences Alumni, Kakatiya University, USA chapter for AAPS Annual meeting at Atlanta, GA, Nov’ 2008. Graduate Student Travel award from South Dakota State University Graduate Research for 2007 and 2008 AAPS Annual meetings at San Diego, CA and Atlanta, GA respectively. Best Poster Award for Sixteenth Annual Pharmacy Research Presentations, sponsored by Rho Chi research honor society for pharmacy. Oct’ 23rd, 2006, South Dakota State University. Second place in Sigma Xi Graduate research award presented by Sigma Xi research society, South Dakota State University, Brookings, SD, May’ 2008. Biographical profile included in the 28th edition of “Marquis Who’s Who in Science and Engineering”, 2010 USA. Awardee of INSA Visiting Fellowship 2008 for collaborative research with IICT, Hyderabad. Awardee of DAAD- Short Term Fellowship 2004 by German Academic Exchange Service, to pursue research in Germany (University of Tuebingen). Member of Indian Chemical Society (ICS). Editorial advisory board member of International Journal of Green Pharmacy.Reviewer in International Journals like Fitoterapia, Phytomedicine, Pharmaceutical Biology, etc. “Dr. Onkar Kulkarni has been selected for the prestigious Innovative Young Biotechnologist award (IYBA) of the Department of Biotechnology, Government of India for the year 2015. The Innovative Young Biotechnologist Award (IYBA), initiated in 2005, is a career-oriented prize to identify and nurture outstanding young scientists with innovative ideas and desire of pursuing research in biotechnology. The award shall cover the non-recurring and recurring financial grants for performing and executing an innovative research plan as proposed by the awardee”. Mr. Ravikiran, third year B.Pharm student was awarded the BEST PAPER AWARD in the Pharmacology Section in the 63rd Indian Pharmaceutical Congress 2011,held in December 2011, Bangalore, India, for his paper titled "Prediction of bioactivity and toxicity of BITS Database compounds using empirical and focused scoring techniques"
Ms. A. Monika, third year B.Pharm student was awarded the SECOND BEST PAPER AWARD in the Medicinal Chemistry Section in the 63rd Indian Pharmaceutical Congress 2011,held in December 2011, Bangalore,India, for her paper titled "One pot synthesis of novel substituted 1,3-thiazinylisonicotinamides, in-vitro evaluation and pre-pharmacokinetic profile studies for the treatment of tuberculosis"
Mr. M. Siddarth Sai, third year B.Pharm student was awarded the BEST PAPER AWARD in the Medicinal Chemistry Section in the MedChem-2011 Conference on Anti-infective drug Discovery & Development, 28-29th October 2011, Indian Institute of Technology, Chennai, India,for his paper titled "Design, synthesis and in-vitro evaluation of novel piperido-hydrazine derivatives as potential anti-tubercular agents"
Department of Pharmacy BITS Pilani ranked 5th in NIRF ranking 2018. Ms Sreemanjari has done her summer internship from 22/05/2017 to 29/07/2017 at Yale University with Prestigious Fellowship: Khorana Program for Scholars 2017. She worked in a project entitled “Study of the TAM receptor-Mer-TK and its role in Phagocytosis” under the supervision of Dr Carla Rothlin in the Department of Immunology. Ms. Sateja Paradkar has done her summer internship from 05/06/2017 to 04/08/2017 at Harvard Medical School, Harvard University. She worked in a project entitled “Analyzing the Bioactivity of novel HDAC3 inhibitors PT1 to PT10 (BITS-Hyd compounds) with Neuro Progenitor Cells (NPC) derived from neuro-degenerative patients” under the supervision of Prof. Stephen J Haggarty in the Department of Center Human Genetic Research.